Carlos Checa leapt to the international scene in China in 2005 conducting the City Chamber Orchestra of Hong Kong. 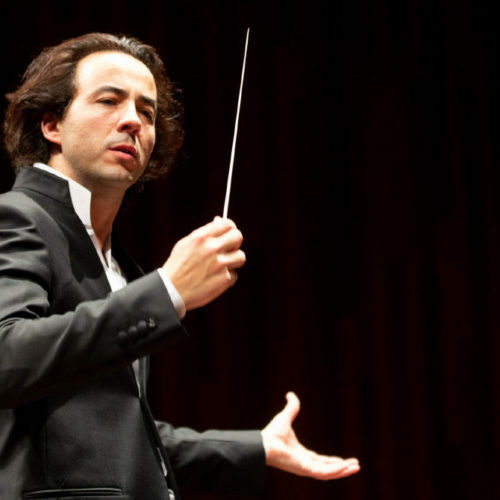 In 2009 he performed in London with excellent reviews conducting the Royal Philharmonic Orchestra in the Cadogan Hall, and by personal invitation of maestro Gustavo Dudamel, in May 2014 he made his debut in Venezuela, in “El Sistema”. 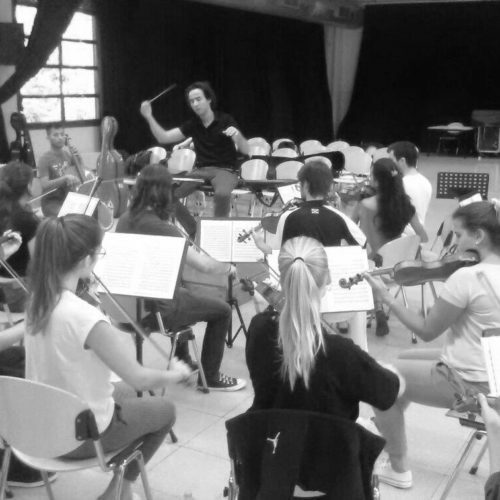 Since 2015 he is artistic and music director of the Jove Orquestra Simfònica de Barcelona (JOSB).In October 2016, he signed as a music director of the symphony orchestra with the record label Universal Music. Carlos Checa has also conducted the Wroclaw Philharmonic, the Pomeranian Philharmonic in Bydgoszcz (Poland), the Orquesta Sinfónica Nacional de Costa Rica, the Orquesta Nacional del Perú, the Orquesta Sinfónica de Xalapa (México), the Orquesta Sinfónica de Mendoza (Argentina). in Spain, he has conducted orchestras such as the Orquesta Sinfónica de Radio Televisión Española, the Orquesta Sinfónica de Baleares, the Real Filharmonía de Galicia, the Orquesta Sinfónica de Extremadura, the Orquesta de Córdoba, the Orquesta Sinfónica Provincial de Málaga, the Orquesta Sinfónica de la Región de Murcia, the Orquesta Sinfónica de Ciudad Real, the Orquesta Clásica de Santa Cecilia, the Orquesta Manuel de Falla and the Orquesta Sinfónica de Tenerife. 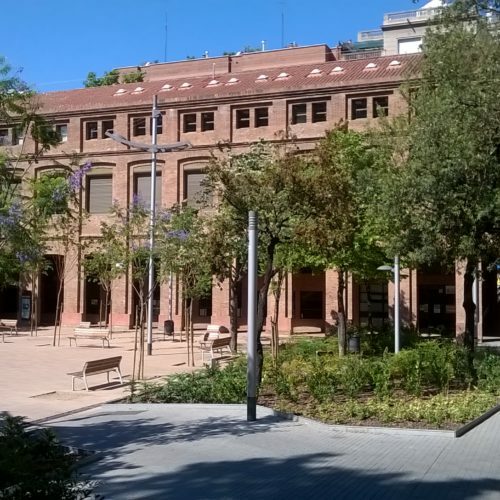 Since season 12/13, he has been conducting regulary at the Cuenca ciudad de música concerts, such as the tribute to Teresa Berganza at the Auditorio de Cuenca, the tour of the main auditoriums of the Community of Castilla La Mancha with the "The Little Sweep" Opera by Britten, and the celebration of the 20th Anniversary of the Auditorio de Cuenca, with the opera production “The magic flute” by Mozart. 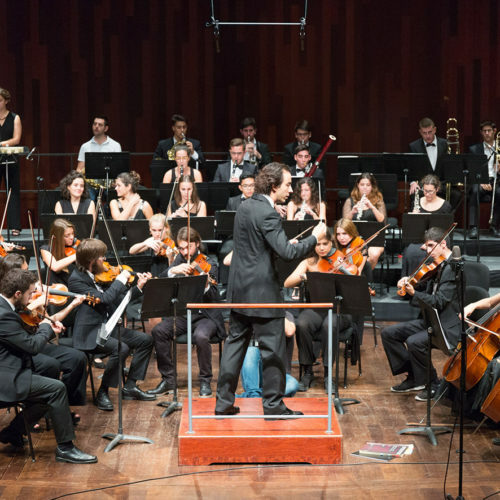 In the field of contemporary music he has conducted premieres of Spanish composers such as Andrés Valero Castells, José Luís López de Aranda, Albert Carbonell and Paco Toledo, whom the EMEC company recently published his "Hipodámica" Symphony, a work that was recorded under the batton of Carlos Checa with the Manuel de Falla Orchestra. Carlos Checa has conducted soloists such as Xuefei Yang, José Menor, Mathilde Borsarello, Cristina Montes, Luís Fernando Pérez, Alejandro Friedhoff and also symphonic concerts and international tours with artists like Isabel Pantoja and from next June also with Miguel Ríos. Carlos Checa began his conducting studies at the age of 17 in Barcelona, his native city, under maestro Francesc Llongueres. He later studied with maestro Albert Argudo in the Conservatorio Superior de Música, and graduated in orchestral conducting with distinction. He specializes in composition, instrumentation and music pedagogy. In addition, he has studied piano, oboe and violin, In 2005 Carlos founded the festival FIMUC Serranía de Cuenca and in 2006 he was awarded a scholarship by the Joven Orquesta Nacional de España. Carlos has taken conducting lessons with Kurt Masur, Antoni Ros Marbà and George Pehlivanian.